@XenthorX We don't know if they could do that from the first place by 4gb. If it was possible to choose 3*4gb stacks (12gb) or the only option was 2*8gb so it was unavoidable to go 16gb. In my neck of the woods, the price I'd paid for my PowerColor Radeon VII is close to the bottom rung RTX 2080, like a Galax RTX 2080 which is a tad pricier than the card I'd gotten. Whereas the higher 'tier' makers like Asus, MSI, EVGA RTX2080 are significantly higher than the Radeon VII, so whether it's worthwhile getting it really depends on where you're from. blame the driver. Easy way to think for compensation. Rtx 2080 is overall a superior gpu for gaming and everyday's use. More power, more features, less temp, less noise, less consumption. I would never recommend Radeon_VII. Neither I would buy it, unless I would like to test freesync on a TV. That's all. I will not play the role of semi professionalism. I think the part about this card that is being swept under the rug by a lot of people is that AMD killed Crossfire on this card. That would have been a great opportunity to actually make use of the 16GB of VRAM. Why is no one even talking about this? yasamoka and warlord like this. It doesn't matter. Perhaps it's time to kill MultiGPU for good. GPU vendors/manufacturers should not have any obligation to support multiple configurations, but it should be up to game developers themselves in the first place to utilize it. That's the road AMD started to follow with Radeon 7. Barry J, HARDRESET and Valken like this. Not to sure about this card. The 7nm manufacturing is astonishing. Seems everything else about the card is just bolted on. Kind of a kit gpu. I need to see a Doctor about my constant hard on for my 1080Ti. So, even if the card is great and all, it will be close to impossible to buy. I read somewhere that in UK was 200 cards in oc.uk mostly. Scan.co.uk had some too. So crossfire can be activated? NO. crossfire is not working. It only works as D3D12AFR. Any API with no software forced multigpu capability, will not utilize more than 1 gpu. 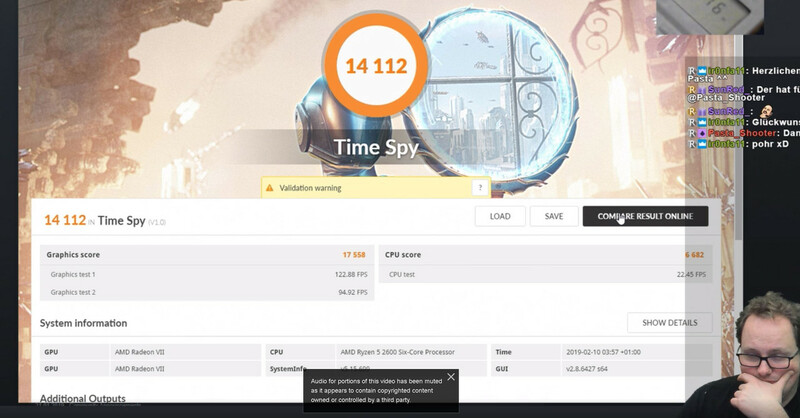 AMD does not enable crossfire from driver level anymore at least for VII. MSI AMD Radeon VII 16 GB HBM2 for 754,90€ can be had in Spain ... strange how 699 US dollars have become 755 €. I am waiting for Navi or better drivers from AMD. I honestly doubt it you were going to buy a 739 eur gpu but you can't stretch to the extra 16 eur. Let's be true, you were never going to buy one. On the AMD side, this is pretty much all they can do. They already lose I believe $50 per Radeon VII sold, the HBM stacks alone are about $300 some dollars. $699 = £540. Yet the cheapest RVII in stock right now in the UK after checking 3 major etailers (OcUK/Novatech/Scan) is £799. You really have nothing co complain about. Well, that wasn't for AMD in particular. Just a generic observation, supposedly the world's economy and especially european are at some kind of crisis for years. That losing money neither benefits corporations and factories, nor customers in my opinion. We are heading towards to a dead end.